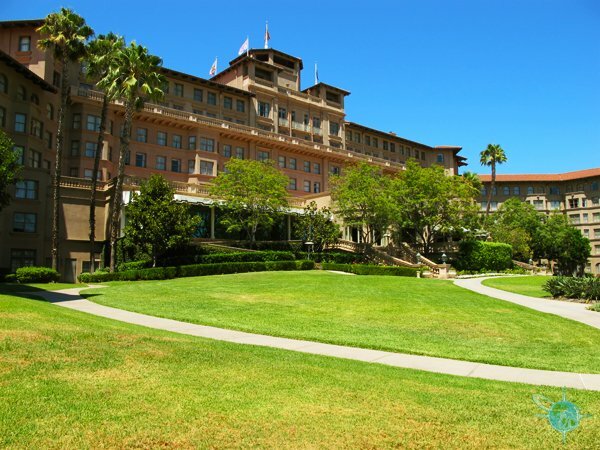 The Langham Huntington is a full-scale resort in Pasadena, California. 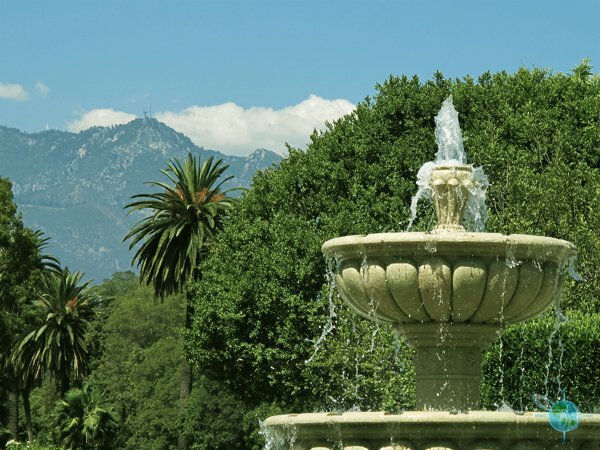 It’s located in a very upscale area of Pasadena near the Huntington Library and Botanical Gardens, which is a great wheelchair accessible attraction. When you pull up to the resort stop at the circle and drop off your car because valet parking is mandatory. The check-in counter is on the left side when you enter through the main door and another desk is to your right where you can hold luggage if needed. The check-in counter did not have a lowered section for comfortable wheelchair access. After checking-in, I headed to my room #516 which was located on the ground floor but a ways away from the front desk. 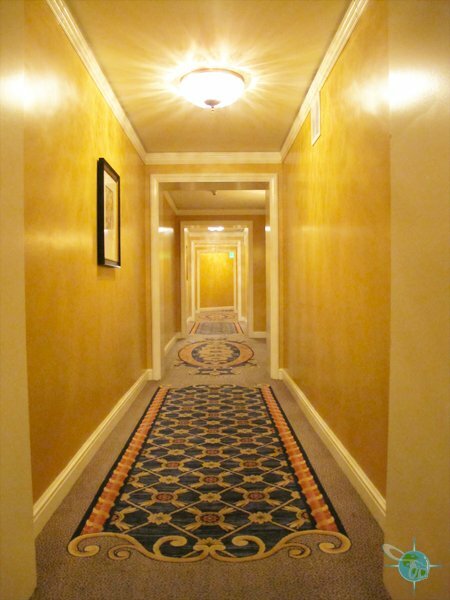 The pathway to the room was all carpeted and this slowed me down in my manual wheelchair. 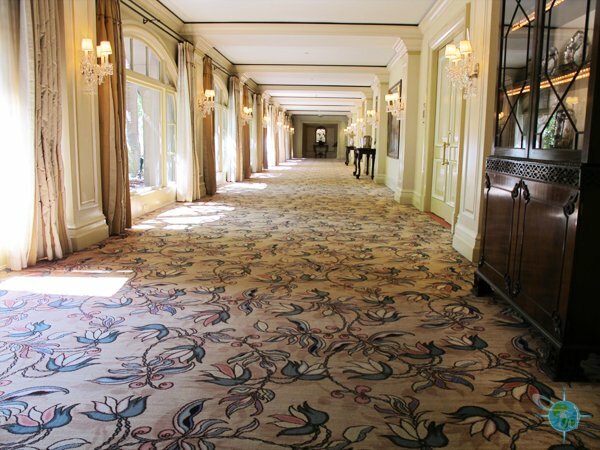 In fact, basically all the first floor was carpeted excepted for outside of course. Room #516 had a lowered peep hole and the door had been widened. 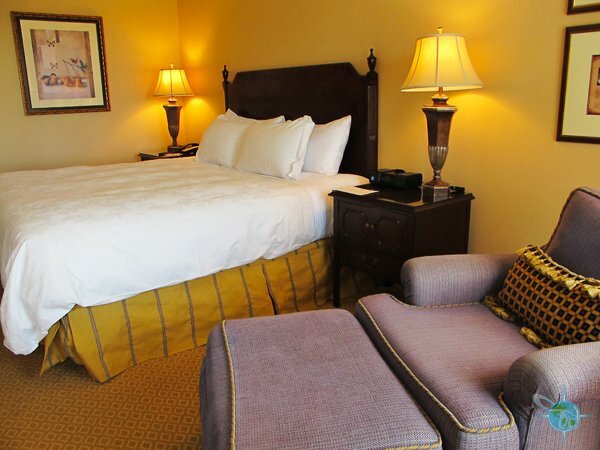 The room’s décor is a traditional antique style with wooden furniture. 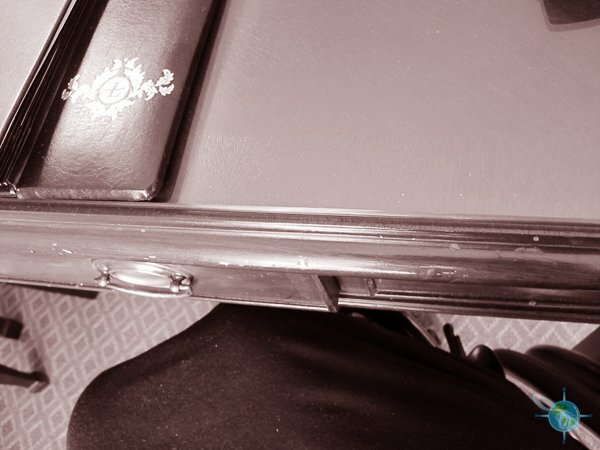 The desk was a little low and I was unable to roll underneath it. The closet did not have a lowered bar for easier access but did have a full length mirror on the inside. 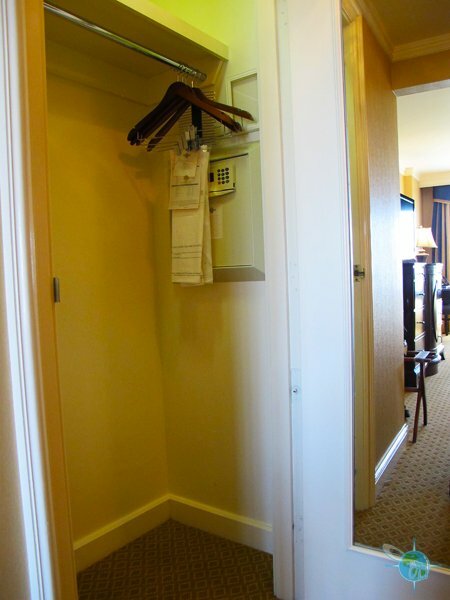 Near the closet was a collapsible luggage stand and above that were the AC/Heat controls which were within access for a wheelchair user. 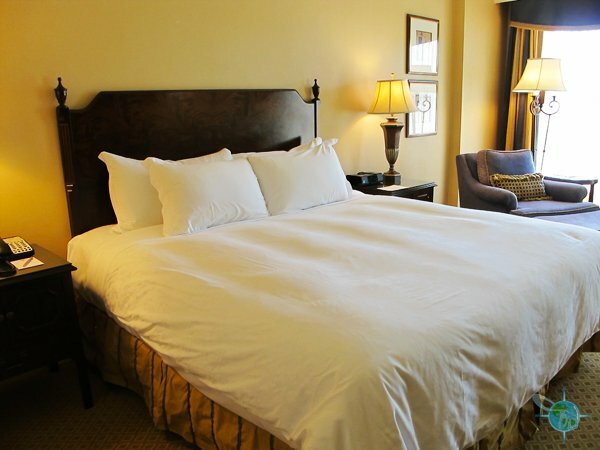 A tall dresser was across from the bed with a flat screen television on top. 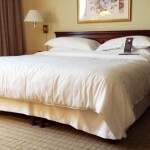 The bed was very soft and at a fairly good height but I would prefer it to be a couple of inches lower. The way the room was setup, I could only access the bed only on one side. A large chair was blocking the other side but it was possible to move it and thus solve the barrier problem. The bathroom was a good size. 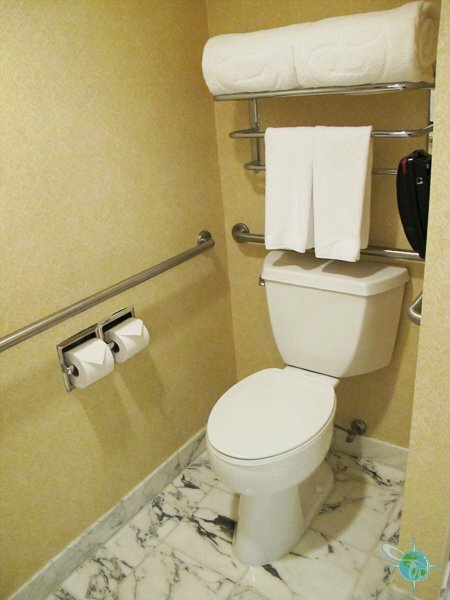 The toilet was immediately to the left with grab bars then the roll-up sink was across from that. The roll-in shower had glass doors that swung open. This made it a little challenging to open and close. 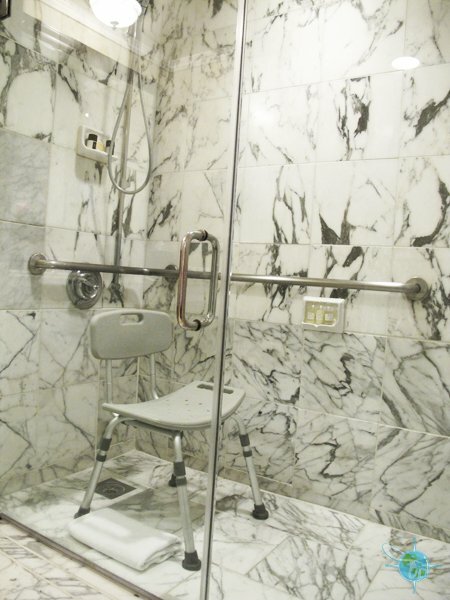 The hotel can provide a portable shower bench with a back. I was happy to find a shelf in the shower within reach but needed to call housekeeping to lower the hand-held shower nozzle. Getting around the whole resort was pretty complex, which is why you are given a map of the property and includes where elevators are located but doesn’t clearly show where ramps are. 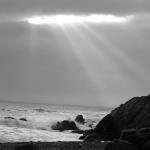 So sometimes it takes a little while to figure out how to get where you going. The grounds surrounding the resort are pristinely kept and includes a large lawn area, swimming pool and a replica of a Japanese tea garden, all of which have paved accessible walkways for wheelchairs. The pool does not have a lift. If interested in getting a spa treatment then you need to travel outside the main entrance of the resort and head to the left. There will be a building on your left side but the ramp is way over on the opposite side. The spa is real pricy and, in my opinion, overrated. 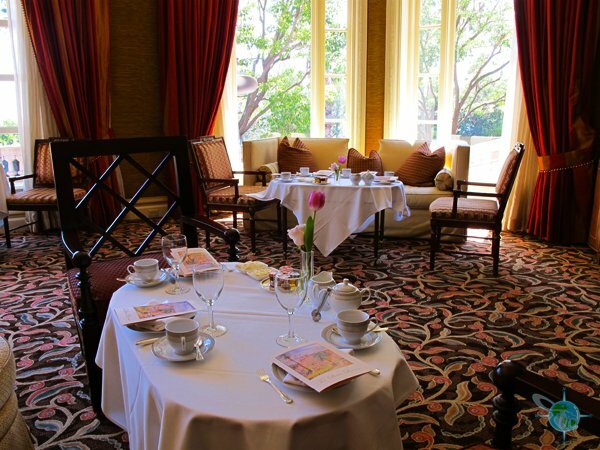 In addition to a spa, the Langham Huntington Resort has many places to dine and get a cocktail and all located on the ground floor. The Royce is a new American cuisine restaurant that encompasses French technique. 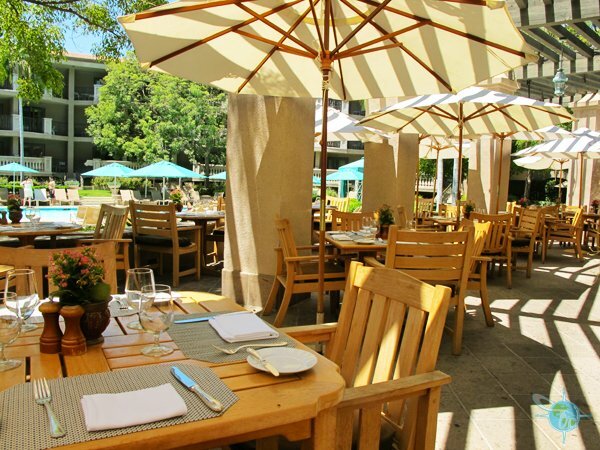 The Terrace is casual dining on the patio overlooking the pool and is open for breakfast, lunch and dinner. 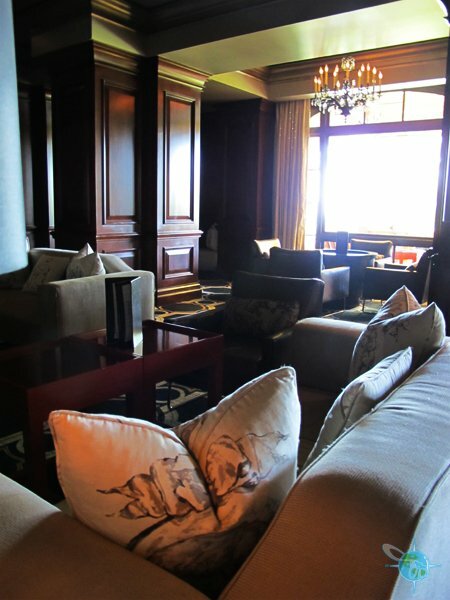 The Lobby Lounge was once the main entrance for the hotel but is now commonly used as a tea room. The Tap Room is a modernly designed bar with and upscale bar menu and opens in the afternoon until midnight or so.